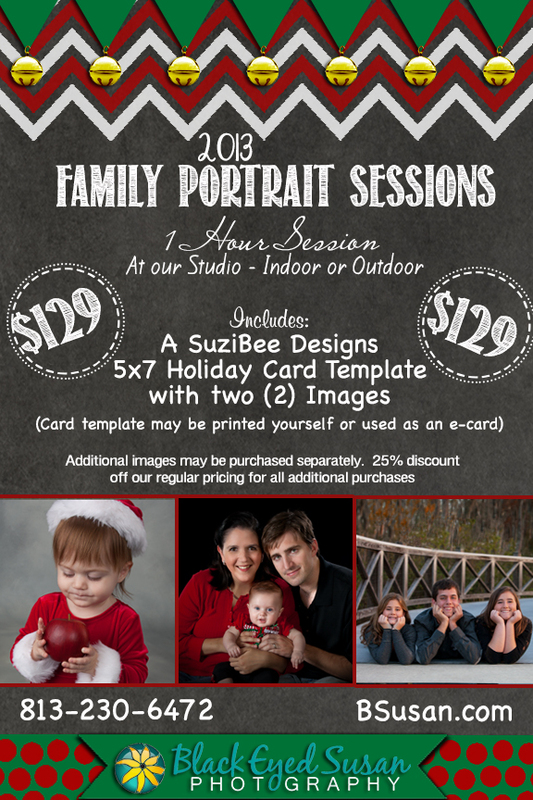 We are now scheduling our 2013 Holiday Portrait Sessions. Sessions may be held in our comfortable, climate controlled professional portrait studio or be captured outdoors at select areas around our studio. Our flier below has the details….